Military deployment can present unique financial challenges to service members. Just because you've been deployed doesn't mean the bills or financial obligations will stop. While you're away, you'll still have rent and mortgage costs to cover, car payments, credit card bills and, of course, the living and household expenses of the loved ones you leave behind. Do you know how you'll pay for these while you're on duty? Do you have a plan for how you'll assume your financial obligations and be responsible about your spending once you've returned? Military deployment can present unique financial challenges for service members -- as well as those they leave behind while on duty. Having a plan for how you'll handle those challenges -- in addition to who will manage your accounts in your stead -- is crucial to keeping your credit, finances and household on track while you're away. Whether you're single, married or have a household full of children, having a financial plan for before, during and after your deployment is key. Not only can proper planning protect your finances and credit when you're on duty, but it can also allow you to take advantage of certain service-related financial benefits. The Servicemembers Civil Relief Act, for example, lets you terminate car leases, telecom contracts, housing leases and more when you're being deployed or relocated -- all without financial penalty. It also helps you limit interest paid on car loans, mortgages, credit cards and even student loan debt. Planning ahead can also help you take advantage of pay allotments, which allow you to set aside portions of your pay for specific expenses -- things like car loans, rent payments, life insurance premiums and child support. These are paid out once or twice a month, depending on your preferences, and can go a long in providing financial peace of mind when you're on active duty. Your financial planning should start as soon as you know you're being deployed. First and foremost, you'll want to designate a power of attorney -- someone who can legally make decisions on your behalf when you're not present. This can be anyone you trust, but most people choose a spouse, parent or sibling. You'll also want to make sure your will is updated and accurate and that you have designated beneficiaries on your life insurance and other policies. If you've gotten married or had children since you last updated your insurance or will, these items will need an update before you officially deploy. Naturally, you want to make the most of your deployment -- and the income you get while you're away. 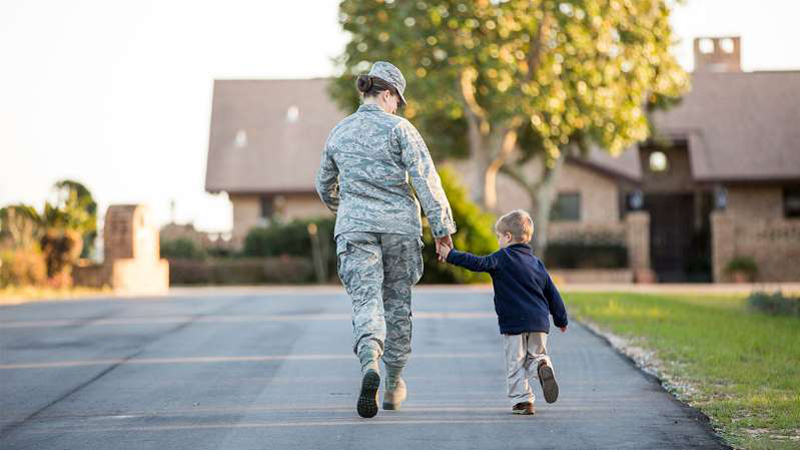 This takes some careful planning, as well as leveraging a few military benefits that can help you maximize your earnings. Enroll in a Thrift Savings Plan – A Thrift Savings Plan is similar to a 401K program, but it's for federal employees and military members only. The big benefit of these plans is that both contributions and withdrawals from a TSP are completely tax-free while you're on deployment. If you have an existing IRA or Roth IRA retirement account, you can also contribute tax-free income to these accounts as well -- as long as you're in a combat zone. Consider a Savings Deposit Program – SDPs are military-specific savings plans that allow you to earn 10 percent interest on your deployment earnings. You can deposit up to $10,000 during each deployment and will earn interest annually until 90 days after demobilization. Deposits can be set up as automatic pay allotments, so they don't require any manual work or check-writing on your part. In emergency situations, you may be able to withdrawal from your SDP early, as long as your commanding officer approves. This can give you and your loved ones another layer of financial protection while you're away. Maximizing your deployment income is only one step of the process. Next, you'll want to put a few financial precautions in place to ensure your affairs are managed, your bills are paid and your credit remains intact while you're away. Put an active duty alert on your credit report – Contact one of the three main credit bureaus -- Experian, Equifax and TransUnion -- and request an active duty alert. This requires creditors to take extra precautionary steps when granting new credit in your name or Social Security Number and protects you from potential identity theft while on duty. You will also want to alert your bank and any other financial institutions you do business with that you'll be deployed as well. Manage your debts – Have credit cards, loans or other debts to your name? Utilize SCRA to cap interest rates while you're away. These limit creditors from charging you any more than 6 percent during active deployment. If you have several debts, you might also want to consider consolidating them using a balance transfer credit card. This will keep you from paying interest on several different accounts at once and will limit the total interest paid during your deployment. Have a tax plan – If you know you'll be away during tax season -- or you're just not sure you'll be home yet -- then appoint someone to file your household taxes on your behalf. You may also qualify for a 180-day tax extension, depending on when your deployment ends. Set up automatic payments – Most banks allow you to set up auto-payments for recurring bills like car loans, mortgage payments, rent, etc. Go ahead and do this for any bills you have consistent, established payments for. For bills that vary month to month, contact your service providers and set up autopayments using a debit card or savings account. This will ensure you never miss a bill (and that your service doesn't get cut off as a result). You may also want to take this time to reconsider the services you're paying for each month. Not using cable very often? Cut the cord and eliminate the bill. The fewer financial obligations you have during deployment, the easier your affairs will be to manage. It can be hard to get back into the swing of things after returning from deployment. Fortunately, if you had a solid plan in place while away, the transition shouldn't be too difficult. You'll want to focus on those savings you built up during deployment, managing your spending and reintegrating into the workforce. Use those SDP funds – If you maximized your deployment earnings using a Savings Deposit Program, you should have a hefty amount of funds available. You can opt to cash these out and use them toward a home purchase or paying off debts, or you can roll them into another interest-earning retirement account, like an IRA or Roth IRA. You can begin withdrawing your savings once you return home, but it's best to wait 90 days (when the interest stops accruing) so you can maximize your returns. If you're not sure what to do, consider speaking to a financial advisor. Run your credit report – Even if you put an active duty credit alert out, you'll still want to check your credit report upon returning home. Make sure no accounts or loans were opened in your name and that nothing looks off or suspicious on your report. If it does, report it to the credit bureau. You'll also want to let your bank and other financial institutions know you've returned from deployment. Leverage your SRCA benefits – If you're being foreclosed on, evicted or taken to court for a financial misstep while you were away, the SRCA can help protect you. SRCA also protects you if late payments or overdue accounts have impacted your credit while you were deployed. Just contact your station's legal officer for advice on how to proceed. Create a budget and spending plan – It can be easy to go on post-deployment spending sprees -- especially if you have a healthy amount of cash in an SDP. Before you leave active duty, make a plan for how you'll spend your income and savings when you return. Will you pay down debts? Purchase a house? Go back to college? Knowing how you'll use your resources can help you from getting into debt -- a known risk factor for post-traumatic stress disorder. A clear-cut plan is the best way to prevent financial missteps while you're away on deployment. Make sure you understand the benefits you can leverage as a military member, take advantage of key savings and tax reduction opportunities, and use your allotments and earnings carefully, and you'll be well on your way to financial stability -- no matter where in the world you might be stationed.